WASHINGTON, D.C. — The Navy will release a 30-year ship repair and modernization plan alongside its 30-year shipbuilding plan next spring, to help the maintenance industry plan its workforce and infrastructure investments with the same confidence that yards on the new-construction side can, the Navy’s acquisition chief said today. 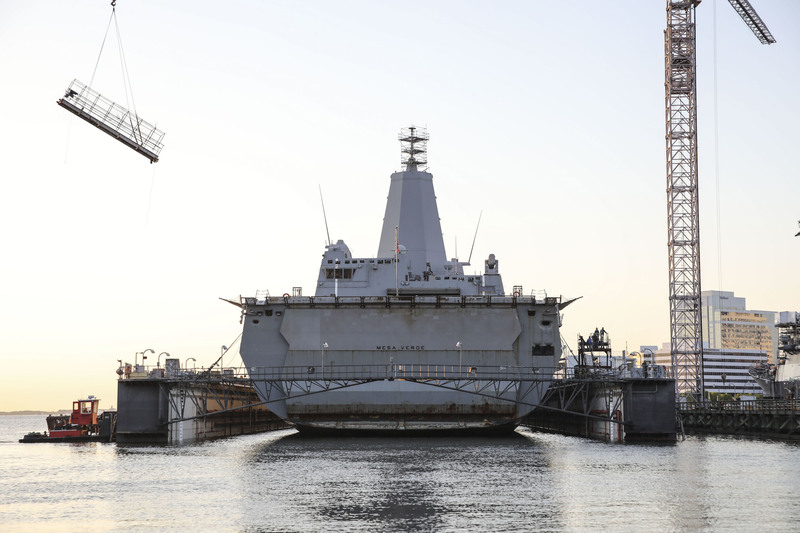 Geurts ordered Naval Sea Systems Command (NAVSEA) to build this plan about a week and a half ago, he said, and expects that the plan will be constructed throughout the summer and fall. 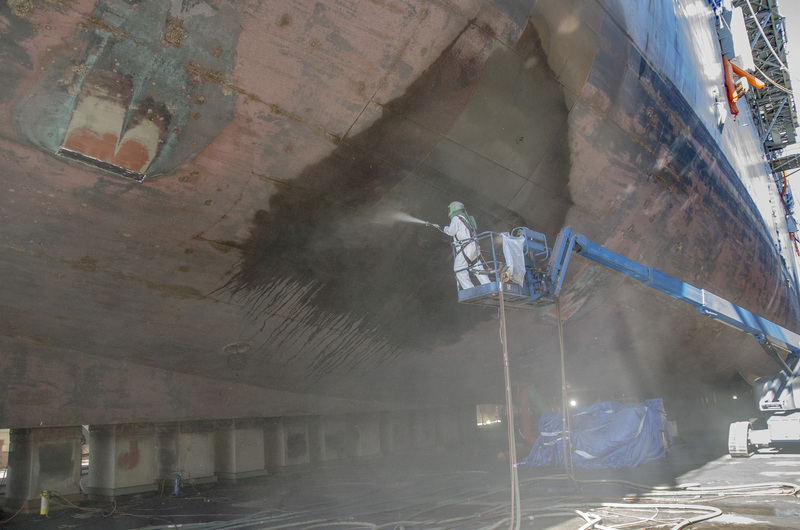 He said he intends to release it in the spring, when the 30-year shipbuilding plan is released – typically alongside a new fiscal year’s budget request release, or shortly thereafter. The secretary noted that the FY 2019 shipbuilding plan hinted at the importance of maintaining the ships the Navy invests in building – an idea amplified in the chief of naval operations’ six-point Navy the Nation Needs talking points – and that NAVSEA also recently released a public shipyard optimization plan to Congress to guide a 20-year infrastructure improvement effort. “This is just trying to bring all that together so we can really look at what the demand is and then understand the infrastructure, people, budgeting, all that,” Geurts said. In a separate planning effort, the Navy has also mapped out the requirement for components shared between the Virginia-class attack submarine, Columbia-class ballistic missile submarine and Ford-class aircraft carrier programs that are made by critical vendors, or those with a single vendor or otherwise limited ability to add new manufacturers for important components – pumps, reduction gears, turbine generators – that all three programs require. Capt. Chris Hanson, the Virginia program manager, said during a panel discussion at the same event that a map exists of all the critical components, the number of each component that each program needs and when that component must be delivered to support on-time ship construction. The Navy can then work with industry to let them know the projections for requirements many years into the future. 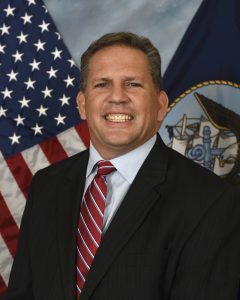 Hanson used the ongoing discussions about adding a third SSN to fiscal years 2022 and 2023, compared to the current two-a-year Virginia acquisition. He said under old methods, the Navy and Congress would decide to add the ships, and then industry would be told just a year or two in advance that it needs to increase production of Virginia-class components by 50-percent from 2021 to 2022. Now, with a clearer understanding of when each program needs the shared components, the Navy can work with its vendors to leverage acquisition authorities and level-load the work orders to create cost-savings. Hanson said the plan provides vendors “a clear signal where they can start their hiring plans and their training plans, and when needed build buildings and purchase new tooling to meet that” with the knowledge that they will see stable workloads to ensure their investments pay off.